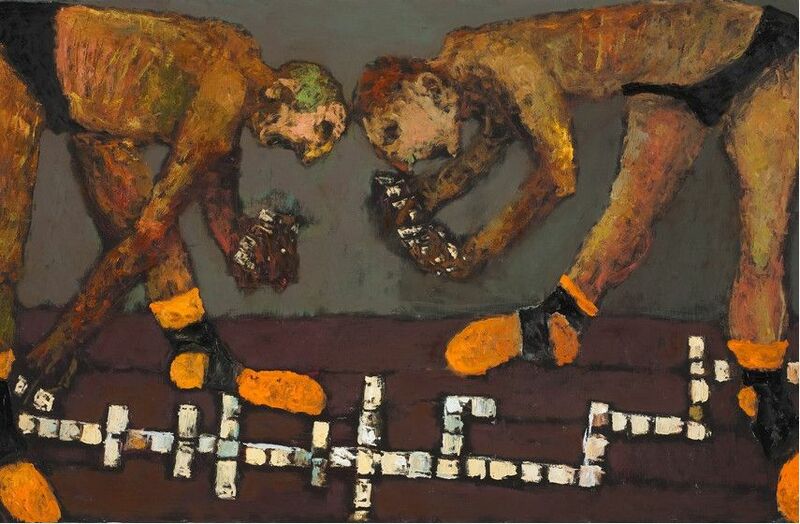 Niyaz Najafov is a professional sportsman, trained soldier, expert in hand-to-hand combat and an inspiring painter. At first glance, his work seems dark and disturbing, but there is a certain lightness in his representation of human form. The figures seem both fully in control of their physical body and at the same time, there is a hint of vulnerability in their expressions. Connecting metaphysical with physical, Najafov depicts the existential struggle of a regular man. Figures in his work are drawn as caricatures, but they are colored with a real human emotion, both light, and dark. This Azerbaijani painter combines drawing with oil painting technique to portray a universal human form in which anyone can see themselves. Najafov was born in Baku, Azerbaijan, and graduated from Baku Technical School of Physical Culture in 1985. He has been into sports all his life. Interested in drawing since he was a child, he found a great connection between sport and art. Niyaz started painting in 2003, and in 2009, he represented his country at the 53rd Venice Biennale of Contemporary Art, Italy. 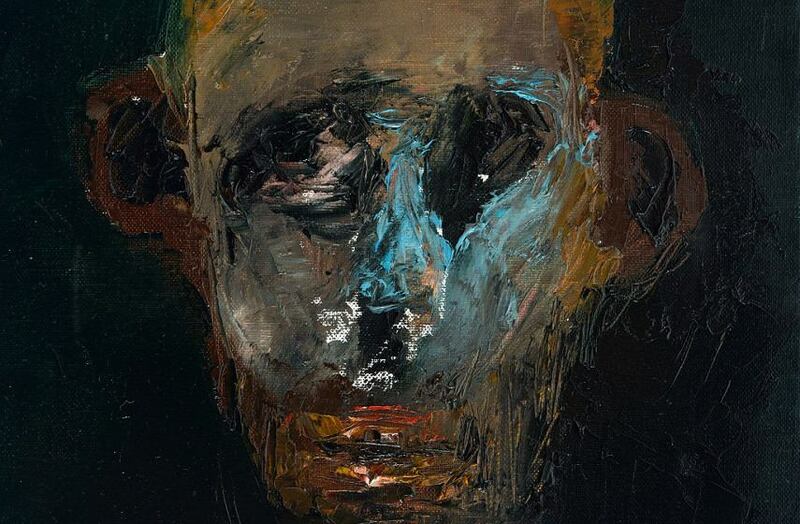 Beneath the dark surface of his paintings, there is a hidden optimistic message. His figures look disturbing, his palette is dark, but the message he sends is hopeful. This deep understanding of human nature is almost poetic and philosophical. A cut-open man is not portrayed in pain, he is dancing instead. A figure sitting calmly by the telephone is maybe expecting a nice phone call, although it seems pessimistic. The artist wants to show that all that we see on the surface, everything that is materialistic, sensual and physical, can carry an opposing message instead. He had solo exhibitions in Baku, Paris, Moscow, Berlin and Geneva. The Dancing on Bones exhibition he had in London, tells a story about best and worst aspects of human life. We see abstract figures painted in red, pink, and dark brown, engaging in normal everyday activities or completely absurd actions. This bipolarity is thought-provoking and leads to satirical inference. Everything about this artist is full of criticism and praise of people being just human. 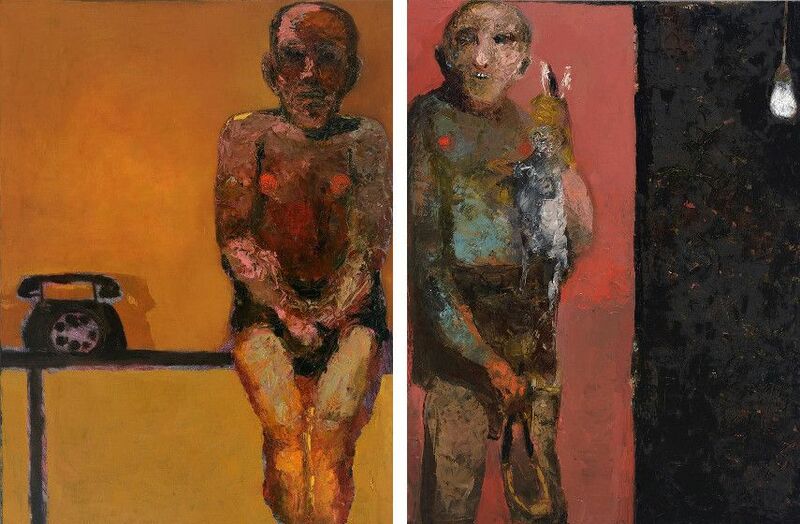 Najafov is inspired by Francis Bacon, Goya, and Paul Gauguin, and that influence can be seen in his dreary paintings. However, his originality in showing human emotion is what makes him such a unique artist. Everything we see or do can be looked at on a positive side. There is no need to stay in the dark and wallow in sorrow. As a trained soldier, Najafov has professional experience in hand-to-hand combat, but in his art, he is fighting for a different cause. He is fighting to show the existential struggle but in a different form. One does not have to go through a struggle to find his own individual purpose or goal. It can be done with joy and liveliness. Not everything we see is what it really is, and this painter emphases the importance of this way of thinking. Sometimes he uses in-your-face messages but mostly is the subtle hints that the audience has to catch. Whether is the people playing dominos and having fun, or a hunter proudly carrying his catch, all of this figures show us glimpses of what every human being goes through in life. The artist is represented by Gazelli Art House, London, UK. Niyaz Najafov lives and works between Baku and Paris.